SALEM-Uganda has a long history of providing education in a variety of ways. Our goal is to assist in the development and transformation of the local community. SALEM and Tukolere Wamu e.V. support individuals and families to give their children access to good primary and secondary education and further skills. 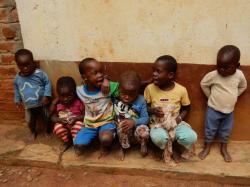 Orphans and vulnerable children need education and additional work related skills to aid them for their future lives. Additional funds enable SALEM’s social worker to identify children who benefit from this investment. All children from our children’s home benefit from this process others are nominated from the local community. The children’s home is the heart of our work in SALEM Uganda. The orphanage was established in 1981. In the past years there has been a consistent population of around 40 children and 10 babies. Our five dedicated house parents many of whom have worked with SALEM through the last decade take care of their wellbeing. SALEM-Uganda provides residential care for those children who have been orphaned, abandoned or abused and who have no-one to care for them. They are the most vulnerable in society and find loving care in our village. 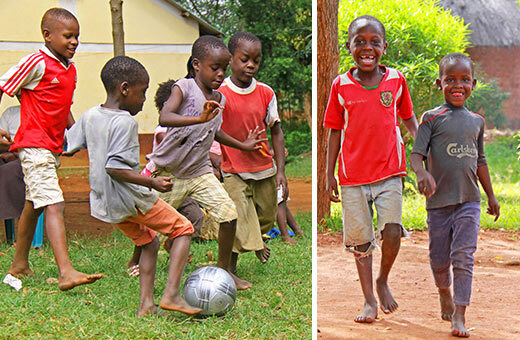 We believe that the best place for children is within their own communities as the extended family and clan plays an important role in Uganda in the everyday life which cannot be underestimated. Our social worker makes every effort to investigate the background of each child and searches for relatives who can care for them. Once a child is resettled, the social worker follows their integration progress and provides assistance and support. In many cases we continue to pay the school fees or we support the family in financial terms to prevent child poverty. By growing their own food, our children’s home pursues two goals. Apart from reducing the money that has to be spent on food, the children get prepared for their future lives. 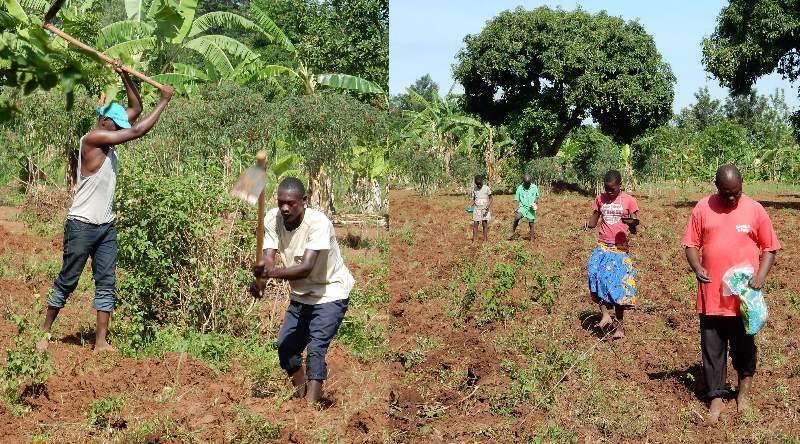 Around 80% of Ugandans working population are employed for farming and to know how to grow your own food also helps families to be financially independent. To reach this goal, everyone from our social worker up to the children works together, for example while planting maize during the rainy season.